As a pianist, sometimes it becomes challenging reading your music while playing the keyboard. This is a problem prevalent especially if you are using a piano outside your house. Some have tried to improve the lighting, but at times this illumination is just too far and ineffective to be relied upon. So, what happens when you are faced with this problem? Most musicians would just go ahead and invest in some piano lamp they found online. Buying these lamps is however not as easy as it may sound. We know of people who have spent hundreds of dollars on piano lamps, and they still complain of poor lighting, and that is not even the worst part. Some musicians are so unlucky and will not only be unable to read their music but will be left nursing eye problems. Poor lighting affects the eyes and as a musician that’s the last thing you’d want. 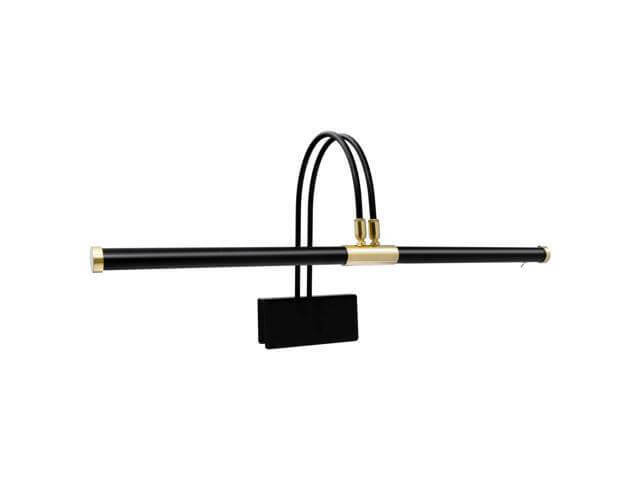 Firstly, when you go shopping for a piano lamp, you should avoid getting a standard desk lamp. This is apparently because the lamp will disperse light unevenly and hence your problem won’t be solved. Additionally, these types of lamps are usually fitted with bright bulbs which tend to be blinding. Another problem is that the light usually ends up being dispersed into a lot of unwanted areas. As a result, chances of distractions are very high, and this consequently makes it extremely difficult to focus on your music sheet and play. The above are some of the problems that you are likely to face when you purchase the wrong lamp. The following are three of the best-recommended lamps that we believe will help make your piano performance effortless. These are lamps whose manufacturing has considered all vital aspects to ensure that musicians get the right quality and quantity of light on their music sheets. The lamps have also been designed to make their usability more convenient. If you are well informed about piano accessories like lamps then you probably already know about Cocoweb. It is a renowned company with an excellent reputation for making accessories such as lamps. Cocoweb 22” LED Grand Piano Lamp is one of their best products yet. This is evident from the fantastic reviews the lamp has gotten online from musicians that have already used it. This lamp offers you 22 inches of illuminations. This is more than sufficient to light over three pages of music sheets! It, therefore, makes the lamp ideal for a musician looking to perform extensive music pages and don’t want to spend unnecessary time changing the positions of the lamp or flipping through music sheets. This lamp is then fitted with LED bulbs which is a good thing in various ways. Most standard bulbs are usually either too dim or bright both of which is frustrating for a musician. LED lights provide, particularly the ones fitted in lamps like Cocoweb 22”, the middle ground needed for adequate yet safe lighting. This helps to eliminate both straining and fatigue which usually happens when there is too much or too little illumination. LED bulbs are also energy efficient which will help in saving you from extra costs especially if you are using the lamp in your home. These bulbs consume very little electricity compared to traditional bulbs. How often do you replace the bulbs in your piano lump? Cocoweb LED bulbs guarantee over 50, 000 hours of high-quality performance! This means that you might never have to replace the bulbs. Adjustment of the piano lamp is crucial. It helps you to optimize the lighting of the lamp and to determine which side of the piano gets the light. The Cocoweb 22” LED Grand Piano lamp is easily adjustable for optimal optimization. The adjustments of the lamp are further boosted by the lack of a powering chord. This is because the lamp operates on an internal battery. The powerful battery offers many hours of lighting which will require less charging frequency especially considering that the LED bulbs are energy efficient. The item comes packed with a battery charger for when they run low. Cocoweb 22” LED Grand Piano Lamp is a bit costly compared to a majority of other piano lamps in the market but just think about how much it offers. With this lamp, you probably won’t have to keep changing its position to illuminate new sheets of music thanks to its extensive 22” coverage. In the end, therefore, investing in this lamp will be worthwhile. 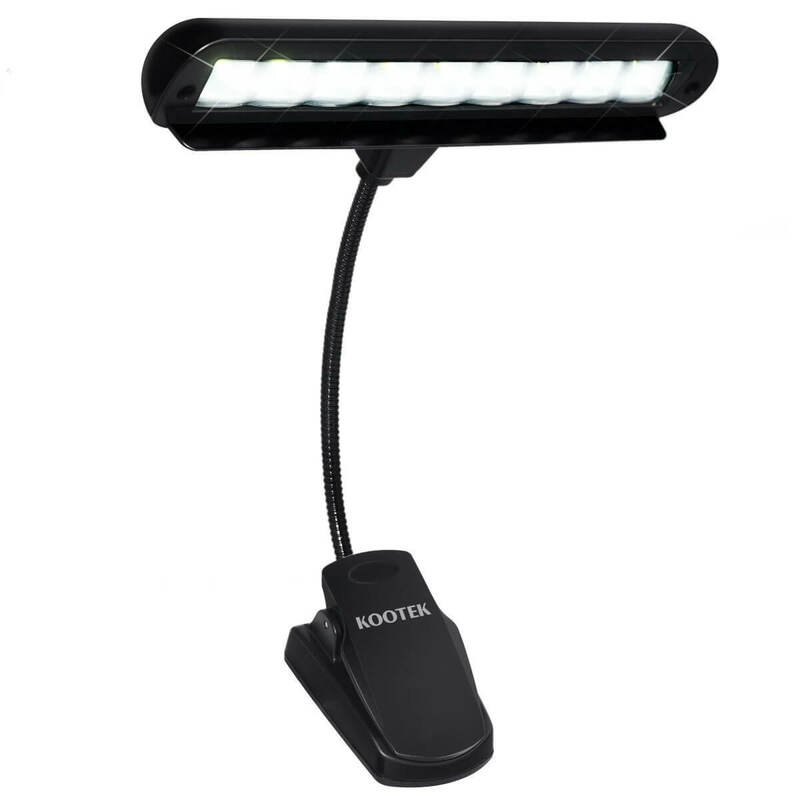 How is the Kootek Clip-on Book Lights Music Light Stand10 unique from the rest of the lamps in the market? First of all, Kootek Clip-on Book Music Light is probably the most elegant piano lamp on the market. It is not the kind of lamp that will have you scratching your head wondering how you are going to fit it on your piano. It is slim with a sleek design that perfectly fits and blends with various piano designs. This elegant look will also add an extra touch to your entire piano set. The light will therefore really help in ensuring that the mood around the piano is transformed into an epic performance. Kootek Clip Music Light offers more than just the sleek looks. It is fitted with eye-friendly light bulbs. Say goodbye to all your eye problems and forget about straining to read your music sheet. The bulbs offer just the right quality of light which is decent enough for you to see without struggling while also staying as safe as possible to your eyes. As if that isn’t enough, the manufacturers have further added different light modes! There are four lighting modes that you can choose from. Yes, four! This lamp can be regulated to Reading, Study, Sleep and Relax mode. With this lamp, you, therefore, have a rare opportunity to choose your preferred lighting depending on the surroundings, audience, time of the day or even your mood! How many piano lamps out there allow you to control their brightness?! Not many. Kootek Clip-on Book Music Light is among the few where you have the opportunity to put the lamp on different dimmer levels. Various musicians have different tastes regarding lighting and having a lamp that can be regulated makes it convenient for the lamp to be used by more than one musician. You can share the lamp with various users, and all of you will be able to conveniently regulate the brightness without interfering with each other’s settings. Moreover, the lamp comes packed with its own LED lights. How is this important? Many are times musicians purchase lamps without the lighting bulbs and completely mess themselves by getting the wrong types of bulbs. This lamp is fully equipped with the best and safest types of LED lights to make the perfect piano lamp. The lamp is also made with a portable stand that takes convenience to the next level. With this stand, you can relocate the lamp to your preferred side, and that’s not all. You can fully rotate it to illuminate the side you want. The stand is also designed in a manner which you can bend it for more conventional lighting. The manufacturer explains that the lamp has four positions all of which offer unique illumination making the lamp perfect for indoor using. This lamp is rechargeable through a USB port. It is also programmed with a 60 minutes timer which automatically switches off the lamp. No more panicking or scratching your head wondering whether you switched off the piano lamp or not. Kootek Clip-on Book Lights Music Light Stand is a reasonably priced piano lamp with excellent features, and perhaps that’s why it is so popular and highly recommendable. 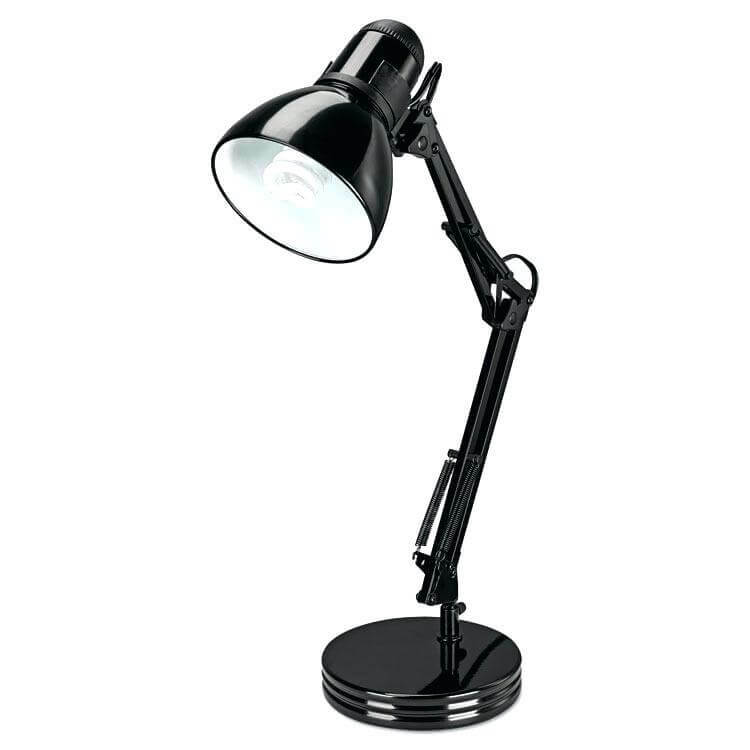 Boston Harbor ATB-8004 Piano Desk Lamp is one of the best-rated piano lamps in the market. A simple search on its reviews on Amazon alone shows a glimpse of just how liked this lamp is. One of the reasons behind its popularity is its price. The lamp is available at a very affordable price, yet it has so much to offer. Firstly, the moment you receive this lamp or get a glimpse of it you will realize just how stunning it looks. The ATB-8004 lamp is designed in sleek stainless steel with a nickel finishing which gives it an aesthetically pleasing appearance. This lamp will look gorgeous on your piano which should cheer you up. The lamp is also not a clip on light and hence can also be used as a desk lamp. It is, therefore, one of those lamps that you can move from your piano and comfortably use it at the study desk where you’ll probably be writing/studying more music. The lamp also uses LED bulbs. These bulbs are energy efficient and very useful in reducing straining. As a musician, you shouldn’t be experiencing headaches after a performance just because your lamp is not providing sufficient lighting. The bulbs, unfortunately, don’t come with the lamp. They are instead sold separately. The lamp is designed in a manner that the illumination is focused in only the needed area. The lamp will therefore not end up illuminating the entire room when you are solely focused on playing your piano. The bending neck makes it easy to position the lamp which helps to focus the lighting in just one area. This further improves in conserving electricity. A 5” long head provides the illumination of the lamp. This LED lighting has metal shed protecting the lighting. One problem common in many piano lamps is hotness coming from the light which then turns everything metallic nearby hot. This can go as far as making the surrounding a bit too hot for comfort which affects some people’s performance. This lamp from Boston Harbor is carefully made, and the manufacturers have successfully safeguarded it from this problem. Many are times pianos end up being damaged or scratched due to moving lamps from one side to another. While it is very little we can do to avoid moving the lamp there is a significant step that can be taken to ensure that we don’t know scratch pianos with lamps. Boston Harbor was thoughtful enough to include a pad at the bottom of the lamp which protects both the piano and lamp from scratches and damages. The Boston Harbor ATB-8004 Piano Desk Lamp is a bit cheaper compared to the other two lamps. It is a decent option for musicians who are still on a tight budget but want a lamp good enough to make a brilliant performance. Piano lamps are a vital accessory that you really shouldn’t miss. These lamps ensure that you adequately see the keys and music sheets as you play. Many people usually think that the room lighting alone is sufficient, but it isn’t. Most of the people who rely on standard room lighting to play piano typically end up feeling incredibly fatigued with headaches and eye problems. All these are problems that you’ll quickly solve with a decent piano lamp such as the ones discussed above. Go ahead and get any of them and the transformation they’ll have on your piano performance will be worth it.